Dr Weil | Noble Studios, Inc.
Long before the words “gluten-free” or “clean eating” became everyday phrases, Dr. Andrew Weil was evangelizing about the benefits of holistic health and integrated medicine. When traditional medicine was still advocating for the use of pharmaceuticals to treat every condition, Dr. Weil was talking up the virtues of herbal remedies, meditation, yoga and mindful living. 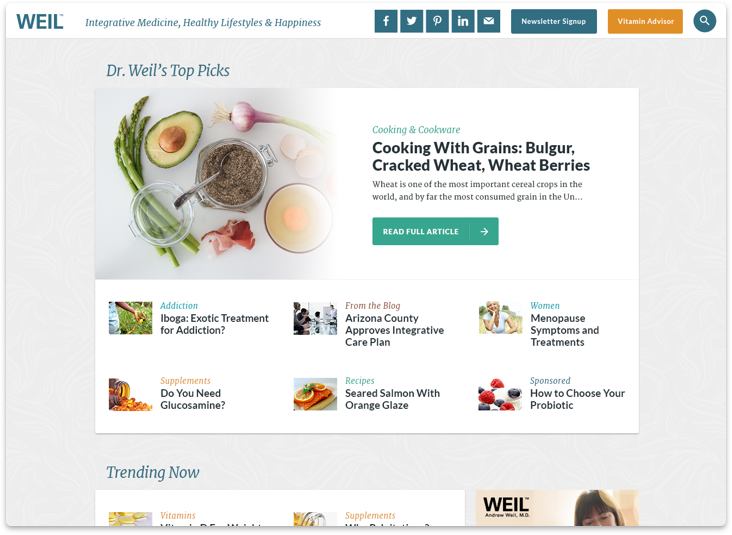 For more than 25 years, his web presence, DrWeil.com, has attracted a loyal following by being a trusted source of information on the subjects of alternative medicine and healthy living. Yet, as the digital marketplace became oversaturated with health and wellness brands, it became harder than ever before for authentic voices, such as Dr. Weil’s, to be heard. 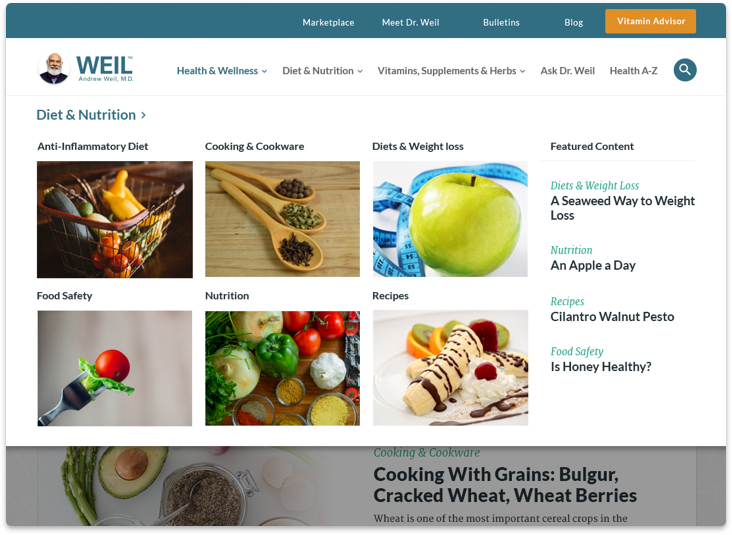 Needing a stronger digital presence to help reach target audiences, the Dr. Weil marketing team collaborated with Noble Studios to design a new site that would better anticipate the needs of visitors seeking health and wellness information and products. Noble began by performing a deep discovery on the site to inform a strategic plan that would bolster Dr. Weil’s digital presence and overall consumer confidence. 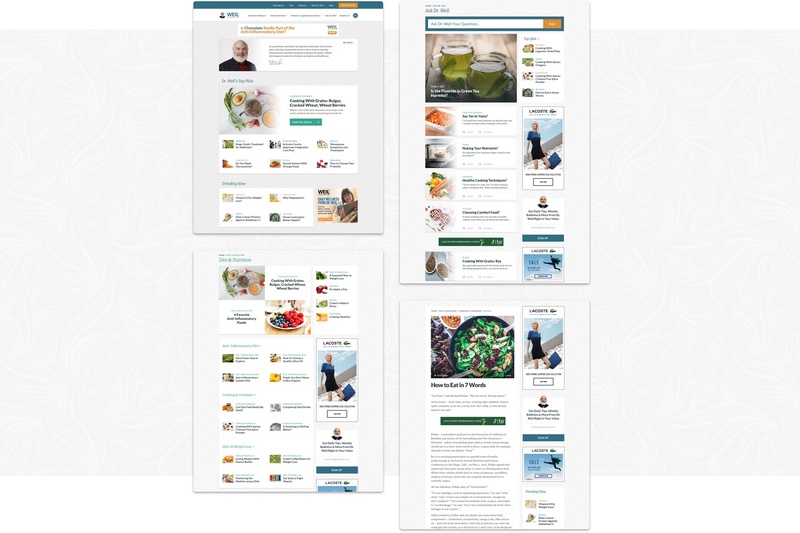 Our findings showed that a complete content migration and redesign were in order to bring DrWeil.com back into prominence in the health and wellness information market. One of Noble’s lofty goals with this site was to organize its complex content structure to make it more relevant to readers and more attractive to search engines in a highly competitive industry. 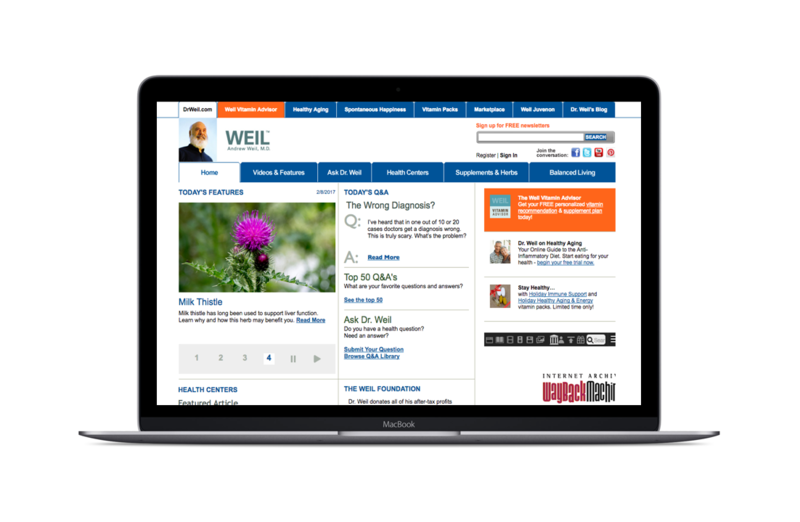 Working hand-in-hand with Dr. Weil’s medical editorial staff, we researched and honed in on high-traffic keywords related to Dr. Weil’s areas of expertise before siloing content into more intuitive categories for the user. 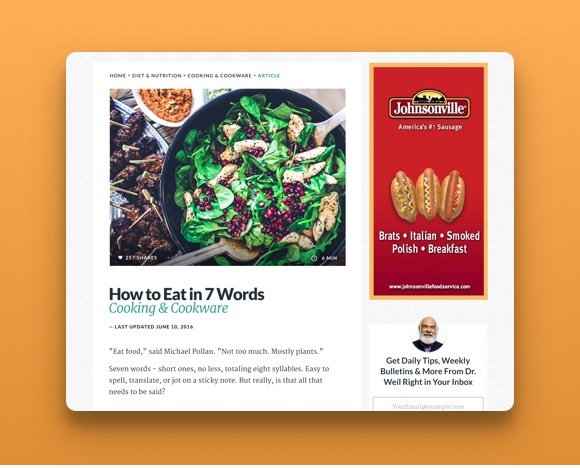 Now featuring intuitive navigation, DrWeil.com allows users to effortlessly search for content relevant to their interests. For each topic, large images help the user better navigate to their specific interest. 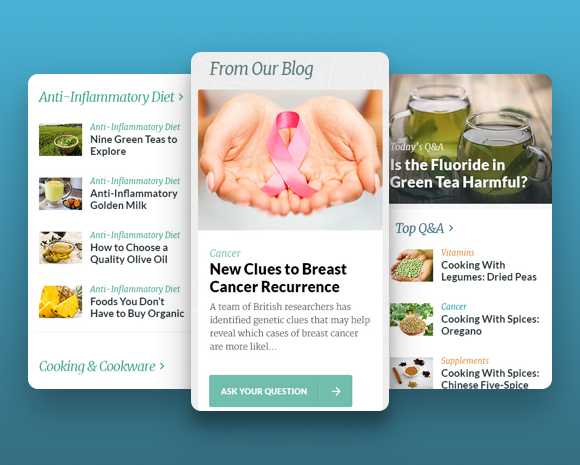 As users scroll down the page, the navigation bar morphs into a call to action, drawing them to Dr. Weil’s social presence, newsletter and Vitamin Advisor to increase conversions. Because more than 60 percent of searches are now performed on mobile devices (and growing each year), we redesigned the site to be responsive across all device platforms. 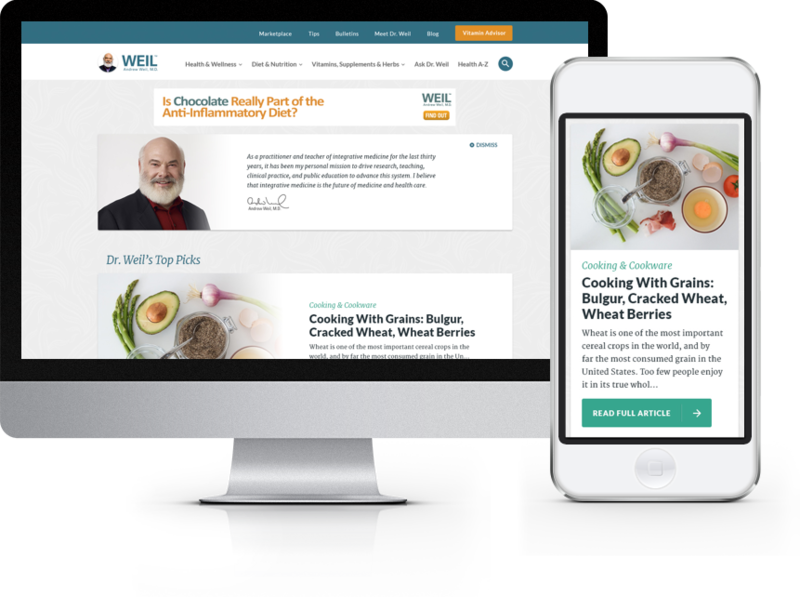 This makes Dr Weil’s invaluable content accessible to users searching for information on-the-go. 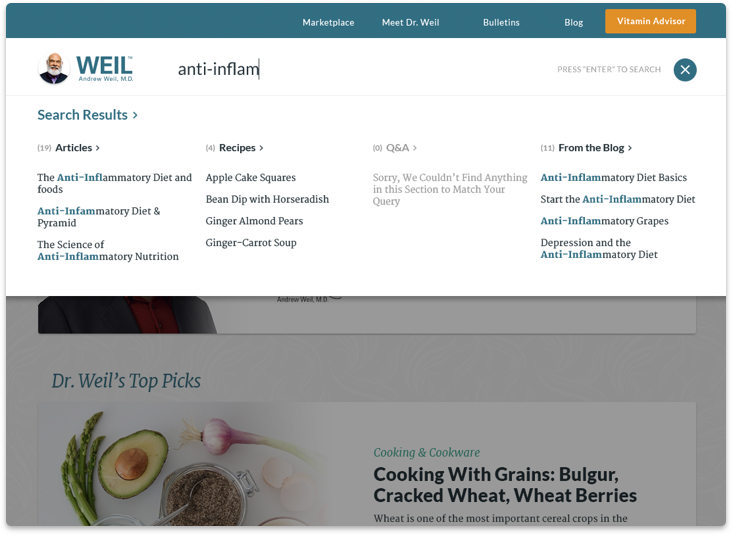 The newly improved user experience and interface is now on par with the needs of the Weil Lifestyle brand’s rapidly expanding younger audience, while also remaining a familiar and positive experience for long-time users. The result is an improved site that remains focused on increasing the page views needed for further monetization. Since its launch, the site has seen an increase in on-page ad optimization, domain health and keyword ranking, while the number of server-side errors has significantly decreased.